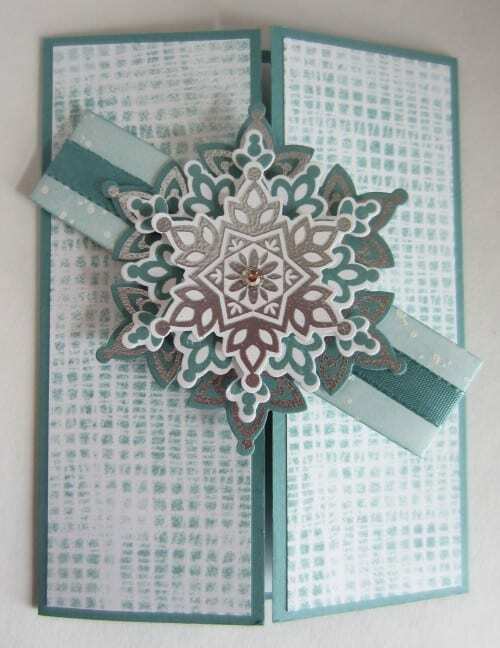 Your friends and family will love your Christmas cards when you make beautiful handmade snowflake gatefold cards. This tutorial shares several techniques for stepping up your handmade cards. Hello! My name is Linda Kilsdonk, a Stampin’ Up! demonstrator for the past ten plus years. A little more than three years ago, I decided to start my blog, Paper Seedlings, to hopefully serve as an extension to my small reach for my Stampin’ Up! business. 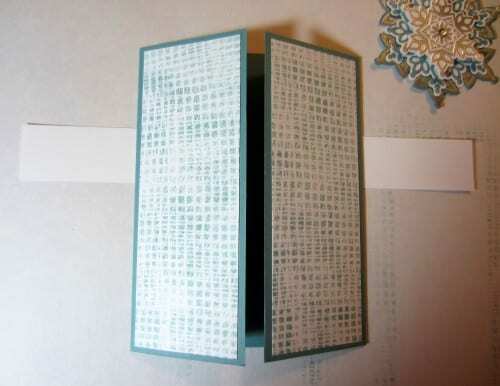 By sharing what I love via the posts of Paper Seedlings, my intent was to inspire other paper crafters. I intended to nurture those who were already interested in the paper arts, to inspire those who thought they might want to enter the paper crafting world, and maybe reach those who are not even aware that letting paper crafting become a part of their lives would benefit them greatly. In fact, I call my own precious paper crafting time Creative Therapy. That is how important it is to me personally! With these goals in mind for my blog, the title, Paper Seedlings, seemed especially appropriate. 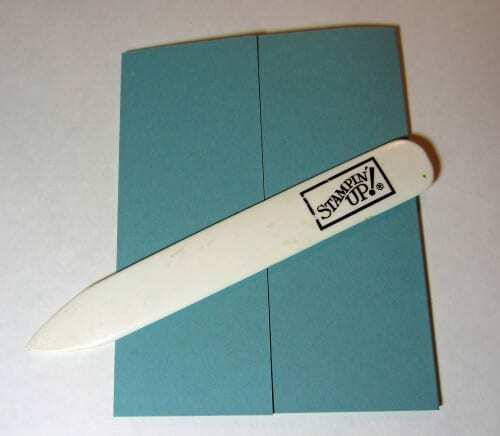 Because the card doesn’t open traditionally — right to left or bottom to top — but from the center point, it is referred to as a gatefold card. 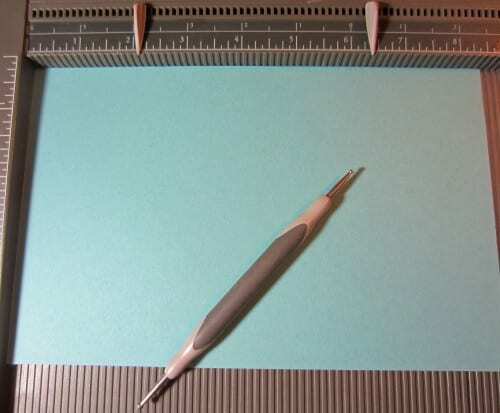 To get the folds in the exact spot, start with a piece of cardstock that measures 5 1/2″ x 8 1/2″. Place the 8 1/2″ edge up against the top of the Simply Scored, and score at 2 1/8″ and 6 3/8″. 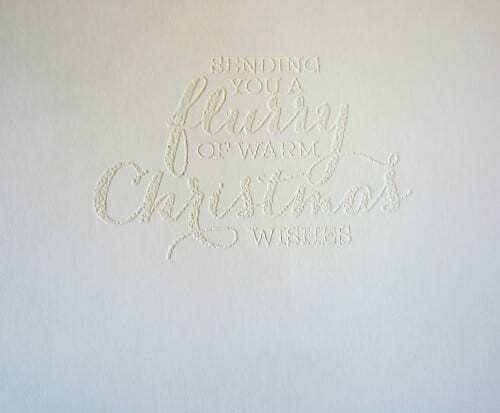 From Whisper White cardstock cut two pieces that measure 1 7/8″ x 5 1/4″. I just have them lying in place on my card to illustrate. 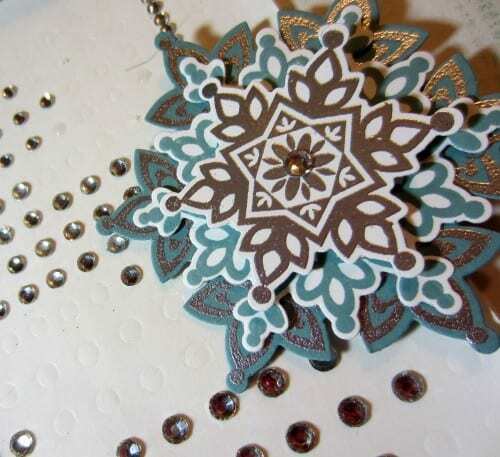 Now, comes a really fun part — a little thing that I like to do in my paper crafting as often as inspiration strikes me! — when you use something that isn’t normally considered a crafting supply. For this card, I was inspired by the plastic mesh bag in which my oranges arrived. Look at something “odd” with a different eye. In this case, I immediately saw this mesh as a STENCIL! Cut off a piece of this mesh that is larger than your two white panels. 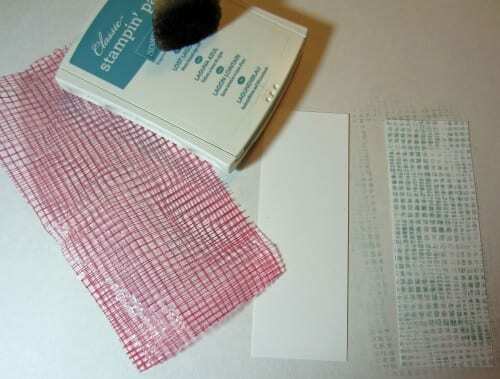 Grab a Stamping Sponge and an ink pad and go to work! 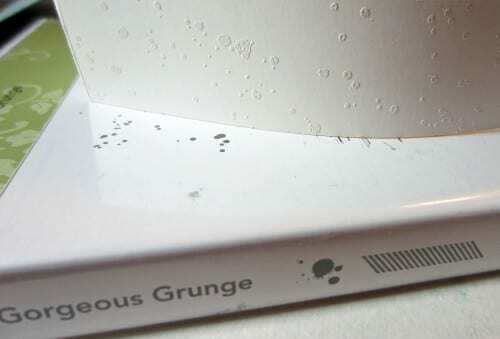 Because, in my mind, snow flurries are not even in the way they appear, I echoed that in my sponging. So I varied the pressure I used in my stencil sponging so some spots were lighter, while others were darker, giving the panels a nice variety of color intensities. 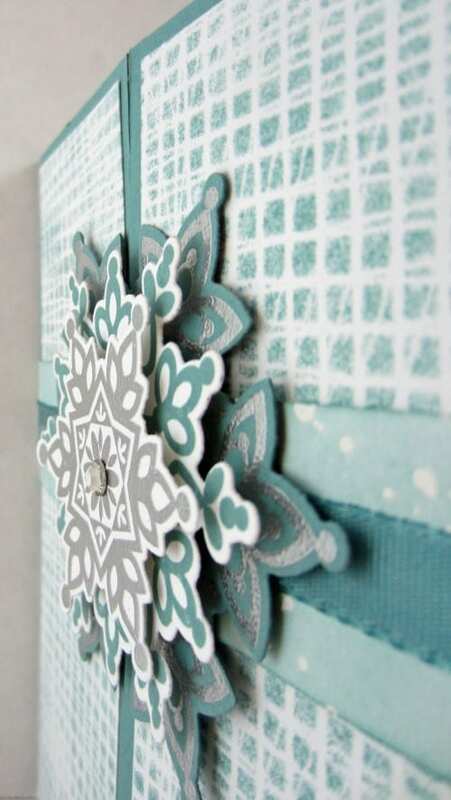 A multi-layered snowflake was my choice for embellishment for the belly band for this card. I proceeded to make each of the three layers slightly different. I used three of the snowflakes from the Festive Flurry set. 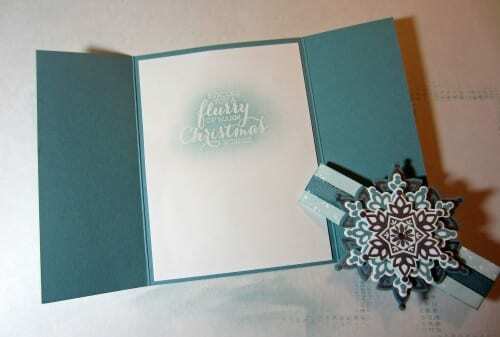 The bottom layer was stamped first in VersaMark on Lost Lagoon cardstock, then heat embossed in silver. 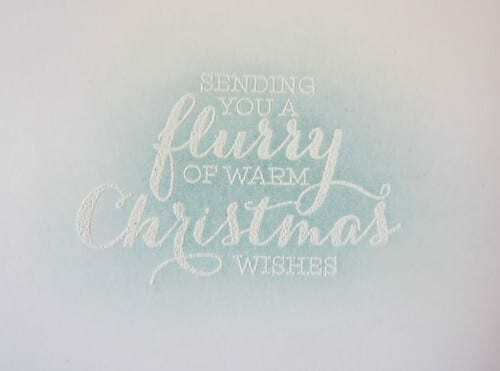 My second layer was simply stamped in Lost Lagoon ink on Whisper White cardstock while the smallest snowflake was embossed in silver on Whisper White. 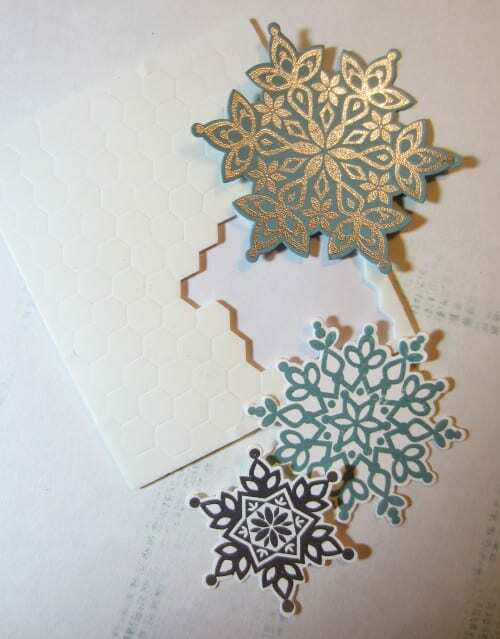 I used the matching Framelits to cut out the snowflakes precisely. The blue and white snowflake is still inside its Framelit. 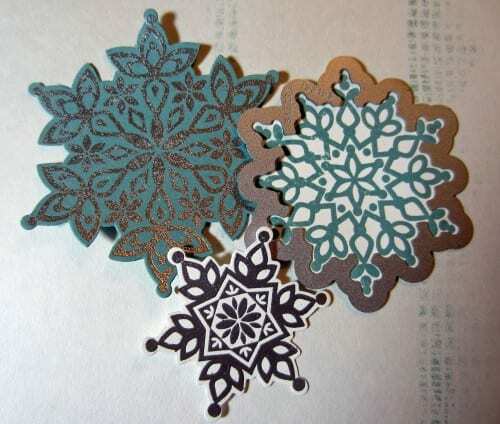 To make my very dimensional snowflake, I used Stampin’ Dimensionals between each layer as I popped them together. 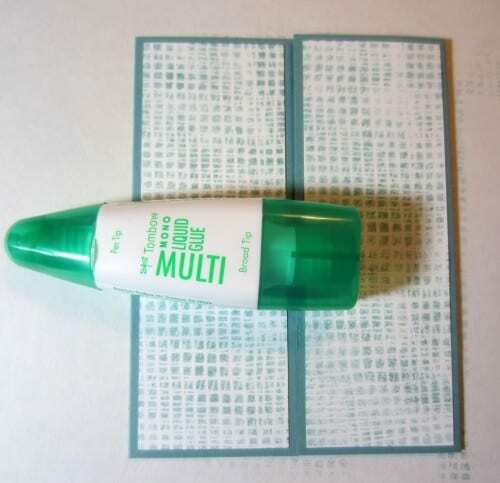 Grab your Stamping Sponge again, and gently cover those spots with Lost Lagoon ink. 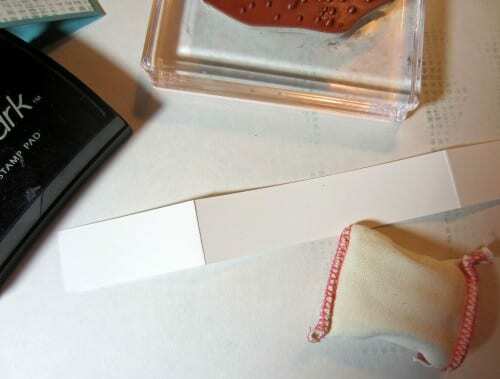 This technique is called a resist, in that wherever you have embossing, those spots will “resist” the ink, and remain white. Once you have the intensity of ink sponged on that you desire, you are set to move on. 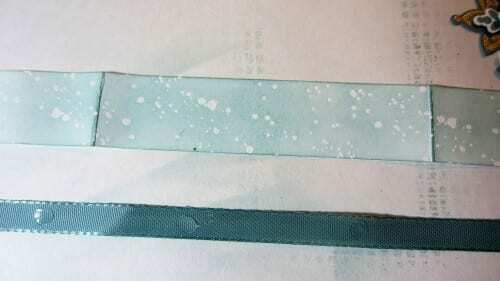 Take a piece of Lost Lagoon ribbon that is about 9 1/2″ long. 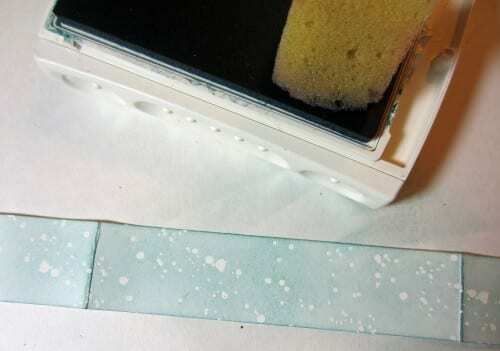 Add Glue Dots here and there, and adhere the ribbon to the center of the resist strip, securing the ends of the ribbon onto the back of the belly band with tape. Wait!! We’re not quite finished yet! We are going to repeat some of that resist technique inside the card. Remember that the inside is Lost Lagoon? 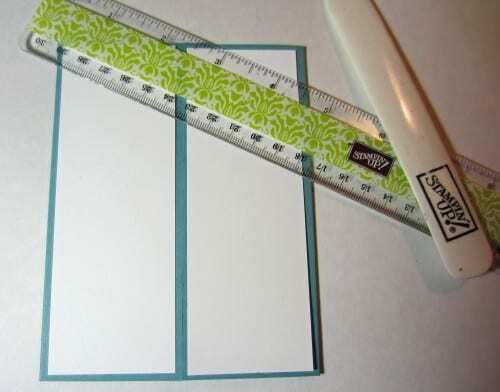 Cut a piece of Whisper White cardstock that measures 4″ x 5 1/4″. 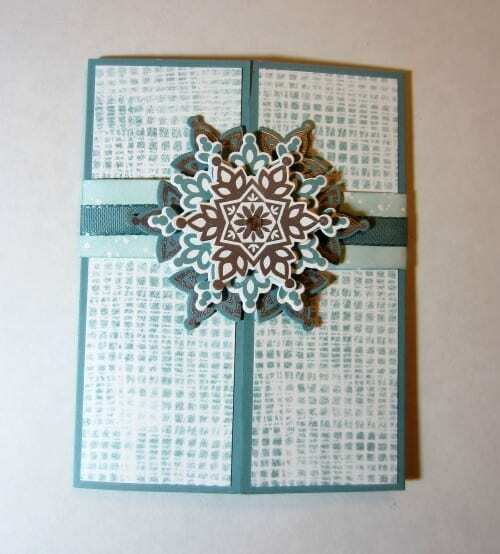 Repeat the same embossing steps you did on the dotted belly band: Rub the Embossing Buddy well over the cardstock, followed by your stamping in VersaMark whatever sentiment you have chosen. 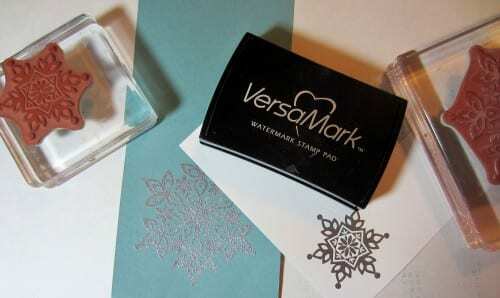 Cover this with White Embossing Powder and heat it until the entire stamped image is shiny. And, here is your finished product. Lots of steps, a little bit of time, but well worth it, don’t you agree? I simply adore the very dimensional look of the snowflake on the belly band. I hope, with all my heart, that you have enjoyed my tutorial. Thank you, Katie, for this wondrous opportunity to share what I love with you, her readers. It has been a pleasure and a real honor. I would love it if you would join me: Paper Seedlings, Facebook, Pinterest, Twitter. 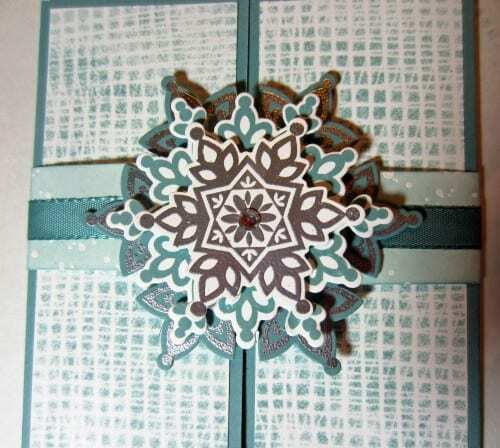 SAVE HOW TO MAKE A HANDMADE SNOWFLAKE GATEFOLD CARD TO YOUR FAVORITE DIY PINTEREST BOARD! Beautiful!! This looks lovely. You are so crafty! The card is beautiful. I’m so glad you shared it with us at Funtastic Friday. It’s so pretty! 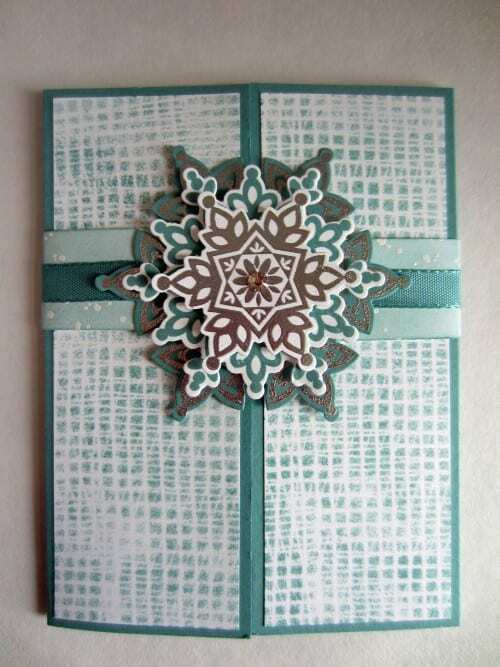 Stampin’ Up has always impressed me with their beautiful designs! Thank you Emily! I am so glad you like this card! Thanks for stopping by. Really beautiful!!! I haven´t made Christmascards….But this one I will defenitly try. Thank you Lottis! 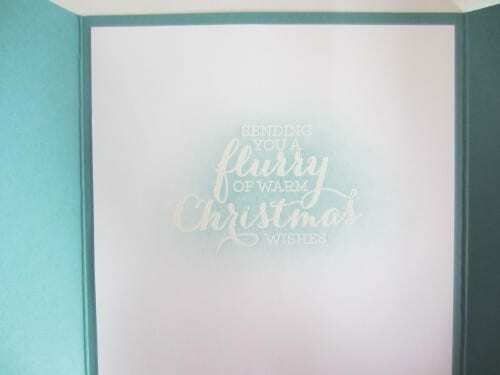 Making Christmas Cards is a fun craft I do every year!